A few minutes later, Mr. Zuckerberg, Facebook’s co-founder and chief executive, walks into the company’s headquarters here, says a few hellos and heads to a conference room where he and Ms. Sandberg huddle for an hour. The two executives end the week the same way, with a closed-door meeting on Friday afternoon. They discuss products, strategy, deals, personnel — and each other. “We agreed that we would give each other feedback every Friday,” Ms. Sandberg says. “We are constantly flagging things. Nothing ever builds up.” At a recent meeting, for instance, they ironed out a disagreement between them over the details of Mr. Zuckerberg’s pledge to give $100 million to schools in Newark. If all of that sounds a bit touchy-feely, well, it is. Ms. Sandberg, a well-regarded Internet executive, is known for her interpersonal skills as much as for her sharp intellect. And her regular meetings with the famously introverted Mr. Zuckerberg have helped to keep one of Silicon Valley’s most unusual business partnerships working wonders for Facebook. Indeed, for a variety of reasons, Ms. Sandberg may well have become Mr. Zuckerberg’s most valuable friend. Part of the reason for that sales growth is Ms. Sandberg’s close ties to many of the world’s largest advertisers, relationships she first developed as a senior executive at Google. Ms. Sandberg also brought stability to Facebook, which had suffered from a long period of turmoil and the departure of several executives and early employees, including the company’s other co-founders. “One of the reasons the company is doing so well is because the two of them get along so well,” says Mike Schroepfer, vice president for engineering. Ms. Sandberg has focused on building the business, expanding internationally, cultivating relationships with large advertisers and putting her polish on things like communications and public policy. 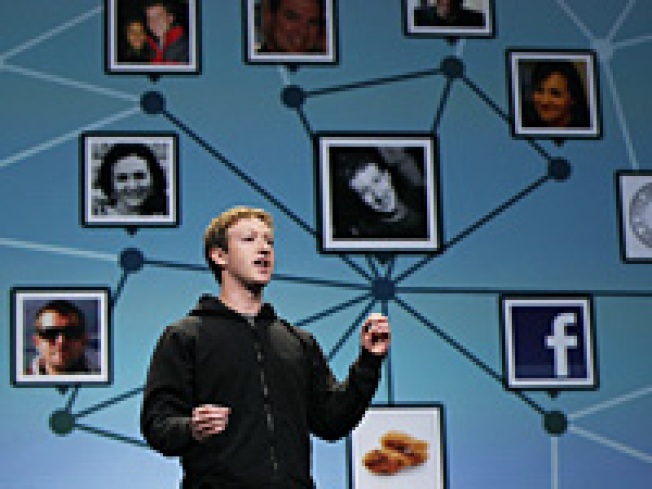 That has freed Mr. Zuckerberg to focus on what he likes best: the Facebook Web site and its platform. Donald Graham, the chairman of the Washington Post Company, who once tried to hire Ms. Sandberg, says that in the last two years a lot of questions about Facebook’s viability have been put to rest. “The combination of Mark and Sheryl is the primary reason,” says Mr. Graham, who is also a member of Facebook’s board. These days, Ms. Sandberg is also juggling another duty: mounting a defense of Mr. Zuckerberg at a time when a new movie, “The Social Network,” portrays him as an aloof and conniving student who may have stolen the idea for Facebook from others. Ms. Sandberg will have none of that. She can be just as protective of Mr. Zuckerberg in private. At a technology conference this summer, for instance, Mr. Zuckerberg flopped during an onstage interview. He gave rambling answers to questions about Facebook’s privacy policies, became visibly nervous and started sweating profusely. After the interview, Ms. Sandberg encouraged him not to beat himself up over it, but to focus on parts of the interview that went well so he could do better next time, according to people briefed on their interaction who didn’t want to be identified because they were not authorized to discuss the matter. “She really wants him to succeed,” says one of these people. For all her achievements, there’s one area where Ms. Sandberg’s influence has yet to work its magic: privacy concerns. While Ms. Sandberg is not ultimately responsible for the features on the Facebook site — that’s Mr. Zuckerberg’s job — she is deeply involved in the planning that revolves around them. She readily acknowledges that Facebook has made mistakes. “It is completely fair to say that we have had our challenges around privacy,” she says. Ms. Sandberg says that Facebook built powerful privacy controls, but that they became too complicated for the average user. Facebook recently simplified those settings. “Mark took the step to apologize,” about the privacy problems, she notes. But some critics say the privacy issue goes beyond how easily users understand Facebook’s settings. For example, they note, Facebook collects increasing amounts of personal information from users to help marketers fine-tune their messages. A spokesman for Facebook said the site lets users control what information they want to share and with whom, and makes it clear how the information may be used in its advertising products. Facebook never sells that information to third parties, the spokesman said. Mr. Zuckerberg, a 26-year-old engineer and product visionary, is socially awkward and reserved. At 41, Ms. Sandberg is the opposite: polished, personable, chatty and at ease in the limelight. The differences don’t end there. Mr. Zuckerberg dropped out of Harvard after his sophomore year to focus on building Facebook, and has never worked anywhere else. Ms. Sandberg, who has a Harvard M.B.A., is a veteran of Google, where she had a central role in building the largest, most successful advertising business on the Internet. By the time she left Google , her unit had grown from a handful of people to about 4,000 employees, or about one-quarter of Google’s total, and it accounted for more than half of the company’s revenue. She also helped to establish Google’s philanthropic arm and ran operations for a collection of unrelated projects, like Google’s book-scanning operations. Eric Schmidt, Google’s chief executive, says he considers Ms. Sandberg to be a “superstar.” But there is growing tension between the two companies, in part because Ms. Sandberg has recruited a string of former Google executives and employees. About 200 ex-Googlers are now working at Facebook. Before coming to Silicon Valley in 2001, Ms. Sandberg earned a degree in economics and then her M.B.A. from Harvard, did stints at the World Bank and at McKinsey & Company, and then worked as chief of staff for Lawrence H. Summers when he was Treasury secretary in the Clinton administration. Mr. Zuckerberg met Ms. Sandberg at a Christmas party in 2007, and they immediately took a liking to each other. What followed was an intense, six-week business courtship, during which the two dined together multiple times a week. Because both of them are Silicon Valley celebrities, they typically ate at Ms. Sandberg’s house so they could keep their talks confidential. “We were very methodical and thoughtful about the relationship,” says Ms. Sandberg. “We can talk for 30 seconds and have more meaning be exchanged than in a lot of meetings that I have for an hour,” he says. Ms. Sandberg might give him a quick update on, say, the development of Facebook’s offices in Ireland or India. Outside the company, Ms. Sandberg spends much of her time with advertisers. Last week, for example, she crisscrossed Manhattan, where she gave a keynote speech at an Advertising Week conference and met in private with various large advertisers. Ms. Sandberg also oversees the seemingly arcane operational details that can help a company run smoothly — especially a company that is growing rapidly. She recently sat down with Pedram Keyani, an engineer whose team builds the tools that handle complaints and requests from Facebook’s users. Mr. Keyani said Ms. Sandberg met with his small group to understand the challenges it faced, and later reorganized it to run more smoothly. The embrace of Ms. Sandberg by Mr. Zuckerberg and Facebook’s 20-something rank-and-file was not preordained. When she was hired, a frat-house atmosphere permeated the company, according to many early employees, and technology blogs speculated that she had been brought in to clean up the place. To this day, Ms. Sandberg looks a bit out of place at Facebook. She sits in a cluster of desks that includes Mr. Zuckerberg’s as well as those of other engineering and product executives. Their penchant for jeans, T-shirts and hoodies is in sharp contrast to her taste for elegant clothing. Her own staff, which handles most of Facebook’s business functions, works in another building a few blocks away. Her efforts to win over the Facebook troops began on her first day. She went desk to desk to introduce herself, cracking jokes and asking questions. It had the desired effect. Ms. Sandberg earned a reputation for mentoring many younger employees — especially women, encouraging many of them not to shy away from important roles simply because they were planning to start families. Ms. Sandberg can speak to that topic from experience: she is married to Dave Goldberg, the chief executive of SurveyMonkey, a maker of software for online surveys, and the couple have two young children. Whenever anyone on her side of the company is promoted, she sends a congratulatory note. People who have known Ms. Sandberg a long time say they are not surprised by her success. As a Harvard undergraduate, she sat near the back of an economics class taught by Mr. Summers. He says he didn’t pay much attention to her until she turned in the best midterm examination in her class — and then the best final. Mr. Summers became her thesis adviser and later hired her to work with him at the World Bank and at the Treasury Department. Although she was still in her 20s, she played pivotal roles, like helping ramp up aid efforts to Africa by opening Treasury’s door to Bono of U2. “I had never heard of him and said to Sheryl that I only meet with people who have a first name and last name,” Mr. Summers recalls. At Ms. Sandberg’s urging, he finally agreed. Debt relief in Africa “wouldn’t have happened if she hadn’t insisted I meet Bono and persevered on this issue,” says Mr. Summers. Ms. Sanderberg's connection with Mr. Zuckerberg runs especially deep. The two often socialize, and Mr. Zuckerberg, who was captain of his high school fencing team, has taught Ms. Sandberg’s 5-year-old son a few fencing moves. When Mr. Zuckerberg and Priscilla Chan, his longtime girlfriend, started thinking about philanthropy, they turned to Ms. Sandberg. She immediately tapped her vast network of contacts and organized meetings with the likes of Mayor Michael R. Bloomberg of New York and Michelle A. Rhee, the schools chief in Washington, D.C.